Credit: Janine McCarthy, M.P.H. & Kristie Sullivan, M.P.H. WASHINGTON–The Physicians Committee for Responsible Medicine–a nonprofit with more than 175,000 members including doctors, scientists, and laypeople–has launched a new effort today to encourage people to become organ and tissue donors to help scientists save human lives and reduce and replace animal experiments. 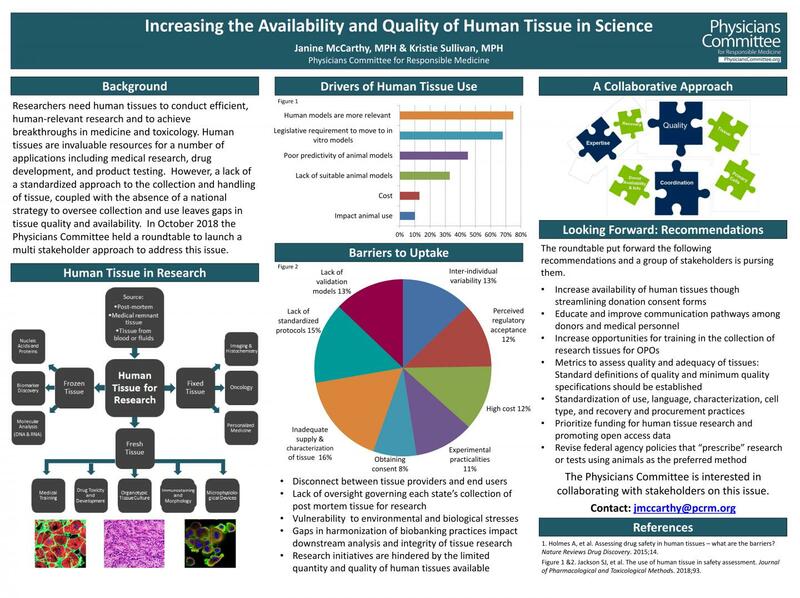 The Physicians Committee convened The Human Tissue Roundtable in October 2018 to address the issue. The roundtable speakers–scientists, policy experts, physicians, and leaders from U.S. federal agencies and nongovernmental organizations–covered the full spectrum of human tissue donation, from a transplant surgeon who initiates the cycle of tissue recovery in the operating room to a scientist who uses human cells to study drug development for preclinical trials.